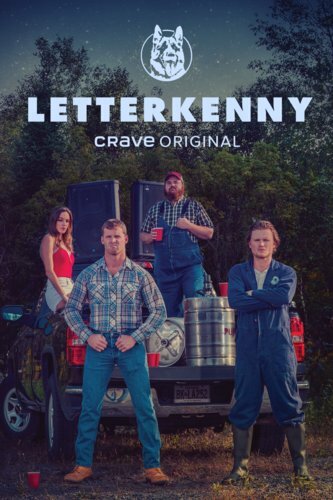 For those of you that are fans of Letterkenny, you've likely already watched all the seasons that are available (either on Hulu if you're in the states, or on the Crave TV streaming service if you hail from the motherland). While I happily watched through seasons three and four when Hulu did it's big dump of seasons recently, I wanted to take my time with the show and enjoy it slowly so I could formulate thoughts on it as it evolved. That meant waiting until after I'd written about season three and four before I'd let myself watch five and six, which I did, and now I'm ready to discuss the show further. When I say the show "evolves", I do mean that. Most shows over the course of their runs will shift, adapt, and change. Usually it's for the worse as the creative team finds out what characters and jokes people respond to and then beat them into the ground. For Letterkenny, I worried that the same thing would happen, that the show would start to lean too hard on certain caricature-type characters to the detriment of the rest of the show. There are a couple of very annoying characters in the series -- Gail (Lisa Codrington) and Pastor Glen (Jacob Tierney) being the worst offenders for me -- and there was every chance these characters could have taken over the show, ruining a perfectly good thing (you know, like Sheldon and The Big Band Theory). Because, let's be honest here: Letterkenny is essentially a Kevin Smith-style production (just without the Kevin Smith). It's a loose collection of stories starring the same slacker-types as they coast through life, drinking and talking and not really doing anything of consequence. I don't think this is a bad thing, especially since even Kevin Smith isn't really making his types of movies anymore, so there's clearly a void left for a show like this. I love it for how laid back and easy going the show's pace is, all while the characters speak in a constant patter of jokes, cracks, and pop-culture references. It's fantastic. The Kevin Smith comparison can cut both ways, though, and that's my worry whenever I go back for another round of new episodes. Is this the season where the show gives into its worst impulses and elevates some of the background characters -- the Jays and Silent Bobs -- to full-fledged lead status. Are they going to beat a few good jokes to death as Letterkenny finally goes off the rails. My worry at the end of last season was that the show wasn't pushing its characters to grow and evolve enough, and when a series does that very often it's about to lean into the skids and fall down into into the pit of self-reference, an ouroboros of failed comedic potential eating it's own running-gag tail. Thankfully, the creators of Letterkenny seemed to anticipate this could happen because seasons five and six do their best to push all the characters out of their comfort zones, to get them to see life outside their farm, their beers, and their insular jokes. In short, Letterkenny proved it knew just what kind of show it needed to be going forward (especially once Crave TV picked it up for another 40 episodes before the debut of the sixth season) and did its damnedest to move with the times and be better than it could be. 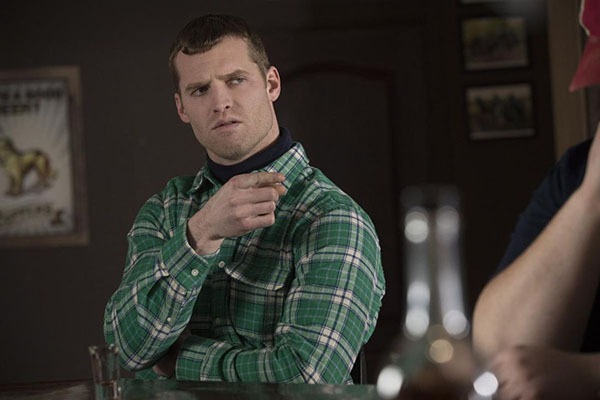 When last we checked in with the denizens of Letterkenny, Wayne (Jared Keeso) had just broken up with his girlfriend, Rosie, after both realized they were way too similar and there just wasn't enough spark between them. This leads him to look at a relationship with Tanis (Kaniehtiio Horn), while the rest of his friends -- Katy (Michelle Mylett), Daryl (Nathan Dales), and "Squirrelly" Dan (K. Trevor Wilson) debate if this is really a good idea for him. Meanwhile, the hockey players, Reilly (Dylan Playfair) and Jonesy (Andrew Herr) are desperate for a win, but their careers hit a rough patch when the male league they were in dissolves. This leads them to become coaches for the women's team, the Shamrockettes. In short, the show tries to do what it can to blow up the status quo. This then continues into sixth season when Wayne and Daryl have started dating to French-Canadian Quebecois ladies while Dan realizes he's still pining for a Mennonite girl from long ago. Even the Skids, a group of drug dealers lead by Stewart (Tyler Johnston), start to evolve, moving from petty crime to selling high-class drugs (with safe dye in them to stop them from being slipped into drinks without ladies realizing it) at clubs. 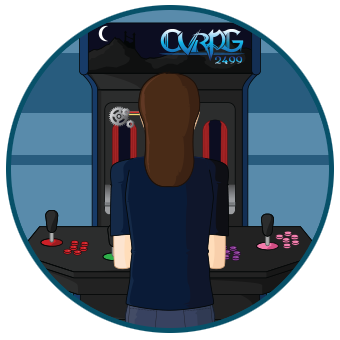 The characters get storylines, get to move themselves forward, and show that maybe, at some point, they'll be ready to try out adulthood for real (instead of continuing to just coast by). It's interesting to see the show grow and change like that, not only because it make me happy that the stories aren't getting repetitive (or annoying) but also because it illustrates a potential end-game for the series to come. Admittedly it's too early to really talk about an end game where there's easily five more seasons of the show booked, but with a definite episode order on the table, clearly the creators have a end-goal in mind. They know where they want their characters to end up when all is said and done, and with the evolutions the characters are undertaking even know, they're clearly getting all their pieces in place to give the characters an eventual send off. And that's great. A show like Letterkenny is fun and funny and can get by and the witty patter of its characters for a long while. What you don't want to see, though, is the show over-stay its welcome and eventually start recycling it's material over and over without letting the characters ever escape the cycle of their lives (and, again, I use The Big Bang Theory as an example of how this can all go wrong, how a show can live on long past the point where its creative edge has been dulled). You need to have an end in place or you risk becoming just another tired sitcom. If seasons five and six are any indication of the direction Letterkenny is headed in (and I think it's safe to say, even now, it is), then the show is on the right track at this, it's mid-point of life. It's still fresh, and funny, and all the things you want it to be. It could have gone off the rails, but after a mild stumble in seasons three and four, the show has righted the ship and is ready to ride out its back half in style.